Want to be able to truly see the relationship between your marketing activities and outcomes? Do you often find it necessary to spent countless hours creating data visualization when there must be a tool out there that already does it? 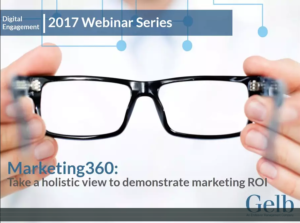 Well, there is – it’s our Marketing360 platform. In this webinar, we will focus on how to create high-impact dashboards to visualize data from multiple sources.